We imagine that Procol Harum fans will be interested to read the following information, which 'Beyond the Pale' has been authorised, by Gary Brooker's office, to divulge. Procol Harum will play as the climax of the Guildford Multimedia Arts Festival on Sunday 17 September 2000. (The festival has later been renamed as The Web Arts Festival). At 7.30pm the evening event kicks off with The New London Sinfonia, the Guildford Choral Society and other well-respected artists performing classical pieces. Procol Harum will take the stage as the climax to the evening, when they will join the orchestra and choir. They are also expected to play as a five piece for parts of the evening. We are not yet able to confirm the personnel, but you can be certain that we will pass on this information the moment it's available. Likewise booking details will be made available shortly. 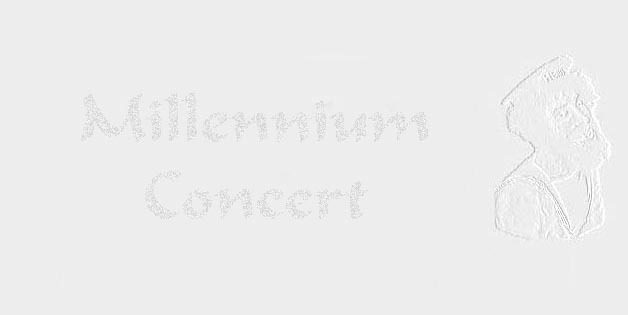 No other concerts are planned at present, but this Millennium Concert amply fulfils Gary's promise to all the fans who have done so much to keep the fires burning brightly since Redhill. "They had left the scene, triumphant ... they would live to fight again ..."
Millennium Concert : index-page: more details!